The best eyes and ears in your nursery! 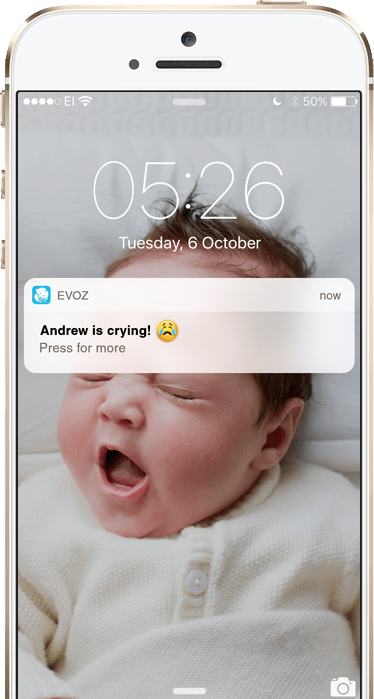 Our Evoz Vision Camera connects directly to our free Evoz Baby app, allowing you to view your little one anytime with WiFi, directly on your smart phone or tablet. 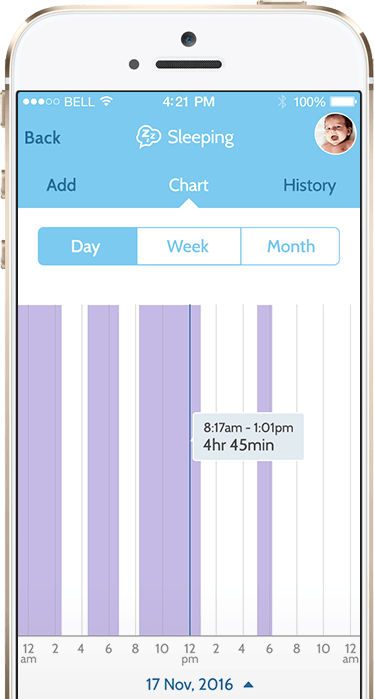 View your Evoz from anywhere, day or night. The sleek design and stable base, including easy wall mounting, and HD wide-angle lens, keep you connected. 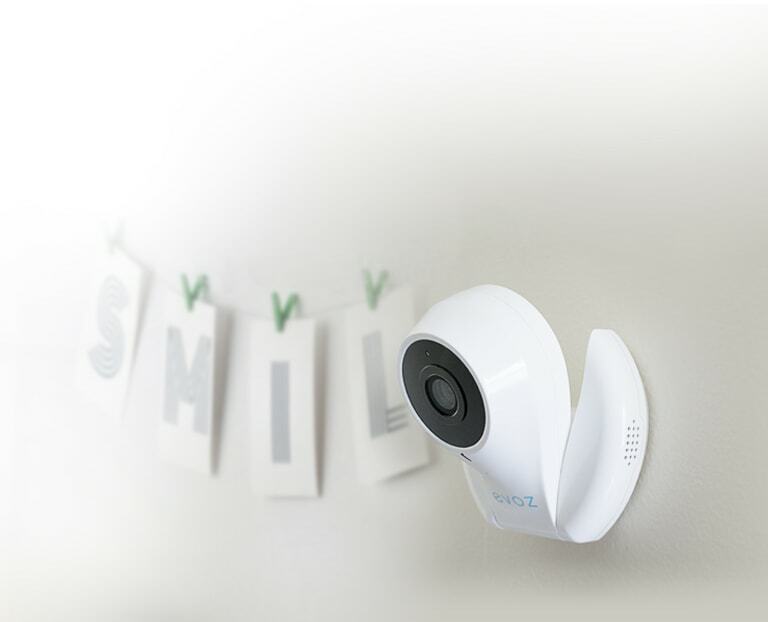 Evoz cry detection algorithms are running in the WiFi baby monitor to distinguish crying from all other noise. You can receive SMS, Email or Push alerts when your baby cries for whatever time duration you set. You will even get a picture of what the camera saw when the cry was detected. 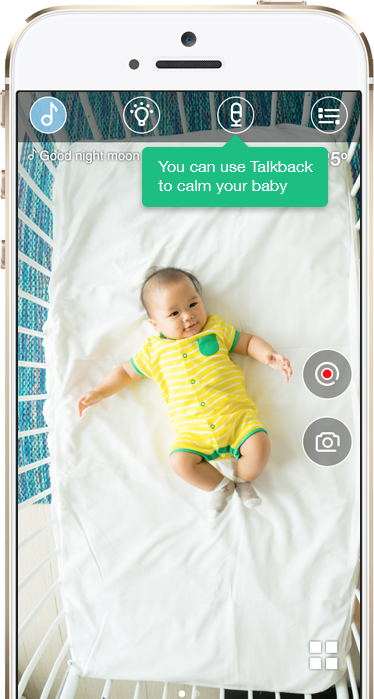 You have tools at your fingertips to help calm your baby from anywhere: play lullabies, music and even audiobooks offered in the camera. 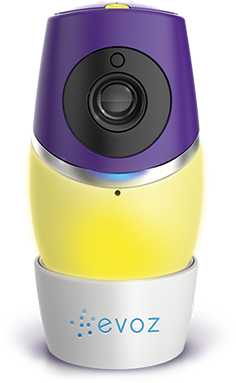 The smart baby monitor automatically collects crying and room data and can be supplemented with feeding, changing, sleeping, milestones and temperature data parents collect in one, easy to navigate and shared repository. Export feature enables sharing data with coaches and doctors in both graphical & raw data format. 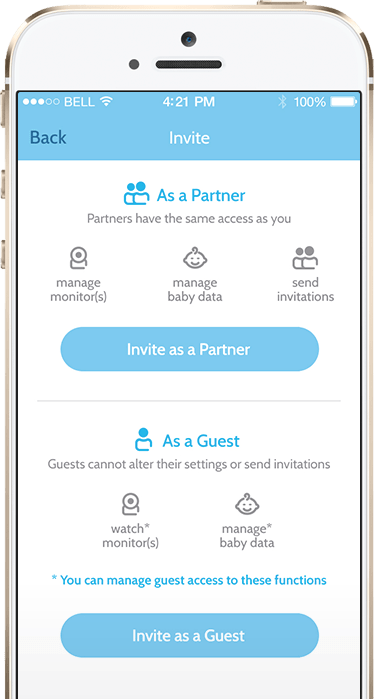 Parents, grandparents, sitters… anyone you invite can access the baby monitor when you permit them to on their iOS and Android devices. HD, wide angle video that you can view day or night. Accessible parenting information that is not only tailored for your specific child based on age and data patterns but has also been formatted in a way that is especially useful for busy parents. Short videos, quick tips and tricks optimized for mobile device viewing. We cover over 200 topics with expert content including sleep improvement videos created by Kim West LCSW-C, The Sleep Lady®. Collecting pictures, videos and milestones as weight or height to treasure forever is the fun part of parenting. 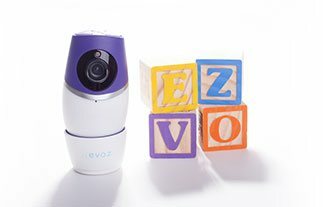 The Evoz smart baby monitor lets parents snap pictures and videos from what the monitor sees, even when they are not in the room. Images and videos go directly to your photo gallery or camera roll.